Our water coolers provide pure, fresh, great tasting water. AquaPoint rents a wide range of efficient, attractive, low-cost water coolers to keep your employees hydrated, refreshed and productive. We work hard at recruiting committed professionals who understand our values. AquaPoint is a great place to work because we encourage a friendly open environment with a clear focus on the very best customer service. Our service and delivery teams bring fresh ideas, different perspectives, individual flair and more importantly are nice people to deal with. We constantly measure the quality of our products and services and are totally focused on customer satisfaction. We pride ourselves in providing the highest level of customer service, delivering our water coolers and pure water when you need them – not when it suits us! Our targets for rapid response times for new installations, deliveries and service calls are consistently met. 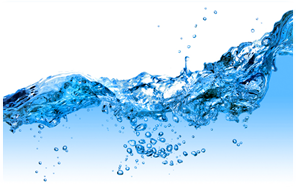 You can trust the excellent quality of our water, water coolers and filtration systems completely. We dedicate a named customer service person to you who will understand the pattern of your deliveries and what you are likely to need. You can be confident of our personal, friendly team and knowledgeable, experienced sales personnel. They can also deal with account queries – just one person for you to deal with!